Located on the Legends Golf Course in the exclusive lake subdivision of Del Lago Circle, this home has fantastic mountain, lake and/or golf course views from every window. Entertainment areas surround the house and borders just one neighbor, providing an incredible feeling of privacy, yet within walking distance of shopping.The resort-like backyard overlooks the golf course and features a covered patio, several seating areas and a geometric pool with water feature and brand-new-top-of-the-line Intelliflo pump. A large custom gazebo provides outdoor dining with fire pit and comfortable seating. The side-yard features artificial turf and room to play, with RV gates that open to incredible lake, waterfall and fountain views from the eight-person hot-tub with surround. Directions: From the 101 freeway go north on 59th Avenue to Del Lago. Right into subdivision. Then immediate left. First home on your left. Approximate size: 11075.00 sq. ft. Please, send me more information on this property: MLS# 5903264 – $495,000 – 5898 W Del Lago Circle, Glendale, AZ 85308. 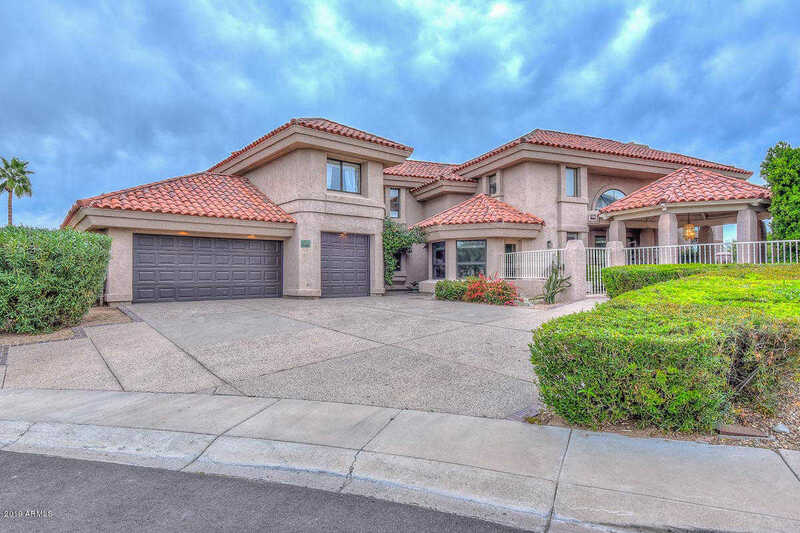 I would like to schedule a showing appointment for this property: MLS# 5903264 – $495,000 – 5898 W Del Lago Circle, Glendale, AZ 85308.